Read Exness forex broker review, rating and detail information for their services below. Exness founded in 2008 in St. Petersburg, Russia. As per clients review Exness is very trustworthy and transparent forex broker. Because of that, Exness reached $180 billion in monthly trading volume by the middle of 2014. In an average 15,000 traders opened their account with Exness every month. Furthermore, the total Exness owned fund as of 31st December 2017, is around $214.9 million which included $42.9 million of clients’ fund. Exness is regulated by the Financial Conduct Authority (FCA) in United Kingdom. They also have their own office in Cyprus which is called Exness (Cy) Ltd. In Cyprus, it is regulated by the Cyprus Securities and Exchange Commission (CySEC). Finally, Exness (Cy) Ltd is a member of the Investor Compensation Fund. This is served to protect and secure the claims of covered clients. Also, it will provide their traders with compensation in instances where the member of the Fund cannot meet its financial obligations. Exness won the following awards for its product offerings and services. EXNESS has been distinguished as the “Best Mini Broker” in 2013 by the British financial magazine World Finance Media. According to International Business Times, EXNESS was nominated best broker in Russia on its operations for 2011. EXNESS awarded as the Best Broker in Asia at the International Exhibition International Investment and Finance Expo, held in China from 21 to 23 September 2012. EXNESS provides both MetaTrader 4 and MetaTrader 5 platform developed by MetaQuotes Software to its clients for an efficient and reliable trading experience. Furthermore, Exness’s MetaTrader offering all the default MetaTrader experience including News headlines stream from Dow Jones News. 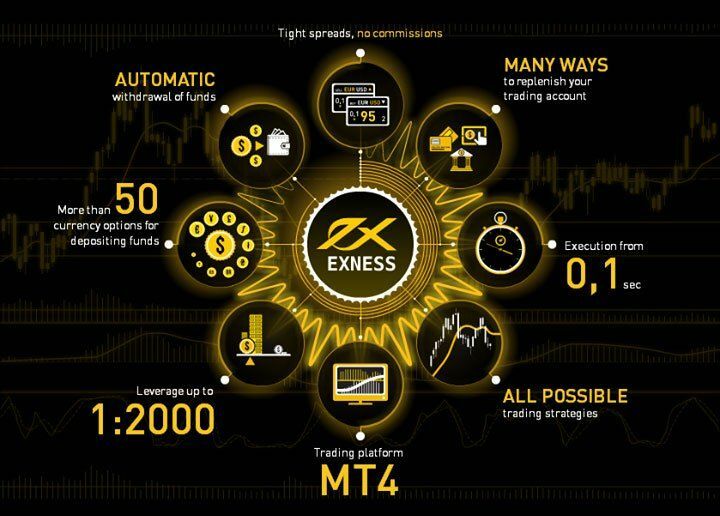 Exness also offers iOS and Android mobile trading applications for its MetaTrader platforms. The app is free and can be downloaded from Google PlayStore and Apple App Store. Like other online Forex brokers, Exness commissions and fees vary in different kind of accounts. In the Classic MT4 account a minimum deposit is $2000. Above all, the spreads are slightly lower in Classic MT4 account than in the Mini account. For ECN trading accounts, there is a minimum fee of $25 for each one-million-dollar trade. Even more, Exness lists an average spread of 0.9 pips for the Classic account. Exness Supports Cash-U, Credit Card, Neteller, PerfectMoney, Skrill, Webmoney, Wire Transfer for deposits and withdrawal. Customer support at Exness is available 24/5. There are several ways which you can get in touch with the support team such as Livechat, Call Back service, Telephone support and Email. Their Telephone support number is +357 25 030 959. They also have the benefits of multi-lingual support and it is available in Arabic, Bahasa Indonesia, Bahasa Malaysia, Chinese, English, Farsi, German, Russian, Thai, Vietnamese. Also, customer support available in indic languages like Hindi, Urdu, Tamil, Bengali. For trading accounts, Exness has four main types of accounts. For the Mini and Cent accounts, there is no minimum deposit requirement. Classic account required $2000 deposit. Likewise, to open a ECN account, traders need to deposit $300. Exness also has demo account for beginners. Exness.com recognizes the challenges it faced by being in Russia, the company had gone out on limb to ensure that it can provide a safe trading environment for their clients. In 2012 Exness reached $450 billion trading volume. Deloitte, one of the biggest auditing companies in the world, and part of the “Big Four”, audited the financial credibility of Exness. They also have growing client base every year. How to avoid Forex broker scams? Exness has been my second CFD broker after FXCM, spreads are not as good as fxcm but the market research is upto the mark, I went with their suggestion of trades and got some good returns. 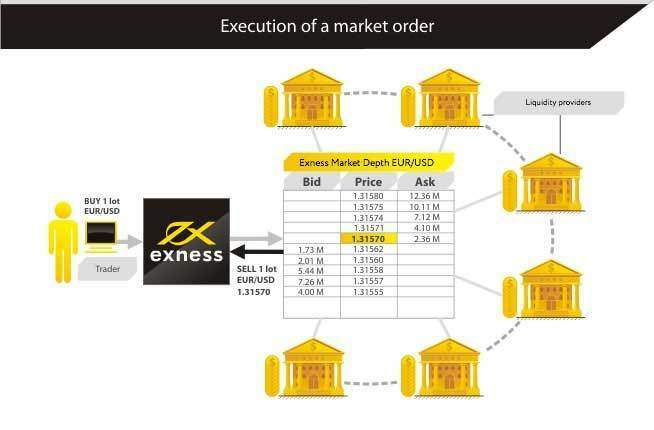 Exness is good broker, low spread and fast execution. Many have choice payment withdraw and deposit.